Help. How do I know if my 6 year old homeschooled daughter is on track? I just started kindergarten homeschooling this past 2010-2011. It is my first time and I have no clue. I just grabbed some books and taught her reading and math. But how in the world do I know what to be teaching her in the upcoming year(s)? Where she should be in her grade level of learning and what to teach her? Please help! Our first year of homeschooling often seems daunting. You said "I just grabbed some books and taught her reading and math." - I think you picked the two most important subjects and it sounds like you are doing great. Just grabbing books isn't necessarily a bad strategy - we have to start somewhere and it is easy to be overwhelmed by the choice of homeschool resources available to us. A lot of us, including me, take our cues on what to teach our children FROM our children. So in this case you would make a list of the things your daughter is interested in or likes, and then tailor your educational projects around those things - expanding things where possible so you are covering them from every angle (math, history, geography etc.) You could do unit studies, or lapbooks. 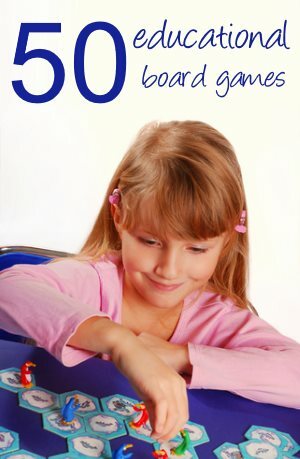 This is a fun way for your daughter to learn and you will be amazed at how many topics you cover. It is common to worry about 'gaps' in education using this approach - I talk (rant?) about that here. Alternatively, you could plan your daughters homeschooling to follow a more standard curriculum approach. Most states will have an outline of their standard curriculum somewhere on the internet - so for example, the one for North Carolina is here. 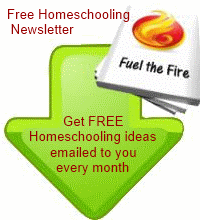 You can pull the resources you need together yourself or find a homeschooling curriculum to help you. I have some free homechooling curriculum links on the site. If you need more help, then I would recommend Home Learning Year by Year by Rebecca Rupp - it lists what children need to know by grade and includes some helpful resources and book recommendations. Just don't try to do EVERYTHING she suggests by grade. You need to pick and mix a little or it will be too much. I hope that gives you somewhere to start. Keep experimenting with your homeschool. Everyone does it differently, and only you can work out what is best for you and your family. Go to Homeschooling Help from Help. How do I know if my 6 year old homeschooled daughter is on track?. Go to Home page from Help. 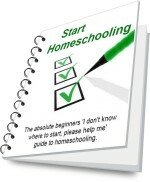 How do I know if my 6 year old homeschooled daughter is on track?. Comments for Help. How do I know if my 6 year old homeschooled daughter is on track? Sounds like you are off to a great start - focusing on the basics reading and math is a great place to start, this will help you in choosing other resources for the other subjects in the years to come because it will help you figure out what works for you and your child and what doesn't. You can get these books through your local library. I used these as "glancing" books and would pick one or two things to "work on next" rather than tackling the whole "list". But now for Math http://cathyduffyreviews.com/math-supplements/maximum-math.htm and Science I prefer Kathryn Stouts books http://cathyduffyreviews.com/science/science-scope.htm because they are K-8 inclusive and provide more of a what's the next thing to work on approach. Takes less bookshelf space and it's a tool you can use for many years to come. Again I used this as a "what's next" or what could I add to our program. Knowing everything they need to know can bog you and your child down where you feel like you are busy as bees but no "real learning" is taking place - I prefer taking the time to work on the basics and as I feel we need more I prefer to choose a topic that is of interest to both of us (geography or history or science topics are great places to start) and just do a fun unit study on that topic (grab some books and learn). The internet has a lot of free resources too once you know a specific topic you are looking for. Try to keep the learning fun and relaxed and not get bogged down with grade levels or even subject "boxes" just learn whatever your child wants to learn next.